Home Android How To Get Pixel 2 Portrait Mode on Any Android device. How To Get Pixel 2 Portrait Mode on Any Android device. The Android phone plays a crucial role in the present era. Almost, Everyone was using smartphones and making their life simple on a daily basis. Also, We know that Google Pixel 2 performs better than other smartphones. 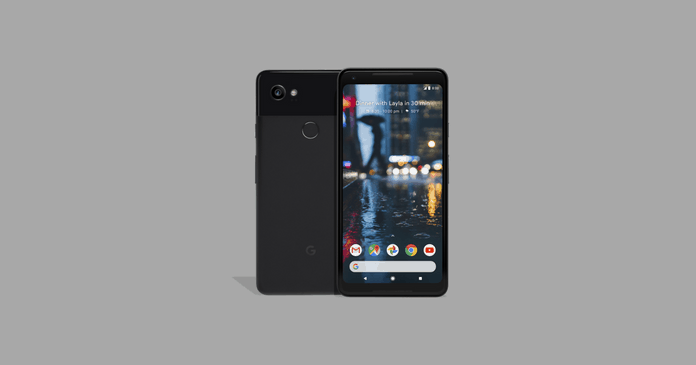 But, many of them are aware of Pixel 2 due to the enormous cost. Still, there is an option for those who are carrying Android devices in their hand. We can do a lot of wonders using an Android device by rooting it. As like that, We can get the Google Pixel 2 portrait Mode feature on Any Android device. So, You might ask me what Portrait mode feature is? And what is the use of it? Right? Here, I am giving a simple definition of it. So, our time will not be wasted. As you already know, The DSLR captures a picture with excellent background blur, and it mainly focuses on the object and ignores the background to give an extraordinary shot to the users. As like that, Portrait mode will also work on Pixel 2. it focuses on the object and blurs the background. This feature is primarily available only in Pixel and iOS devices. If you follow this guide completely, You can get this Portrait Mode feature on your Android device too. To Enable or get the Portrait Mode on any Android device. Your device does not need any Root. You can just download and install it as third-party software and run as your daily camera. In Pixel 2 device, You would have noticed that the camera lenses are made explicitly for Portrait mode feature. But, Most of the device will not have the same picture quality as the Pixel 2 defines. So, You will not get any improvement in the camera after following this guide. But, you will realize the difference in the image after capturing it using the portrait mode. So, We will know how to get pixel 2 portrait mode on any Android phone. Then, Install it as a regular APK. Now, You will get a set of instructions to capture an image in Portrait mode. That’s all!! You’re done. You can take Blurred or DSLR type images from your Android device itself. I hope you liked this guide on How to get Pixel 2 Portrait mode on any Android device. If yes, then share this article on social media with your friends and relatives. Also, If you have any queries then feel free to ask me in the comment section below. I will try to answer as soon as possible. Bookmark this site for more article like this and Thanks for visiting. Thanks for commenting. Is your device running Android Oreo? Or the old version? Because it works only on Oreo running devices. Have you followed the guide properly? Its working fine on Android Oreo too.